With this new release, Gitane DeMone Quartet delves deeper into the sonic world of its creation from its first album, Past the Sun, continuing to pull away the layers of artifice and pretense to get at the raw truth within. From the tragedy of "Douglas Street" to the haunting "Bells for Barbara," the lush beauty of "Amaranthene" to the cosmic experimentation of "Retrospekt" (an arrangement of a classic Sun Ra piece), SUBSTRATA STRIP shows the band maturing and reaching into newer, more complicated realms while losing none of its visceral impact. The sound of choppers passing overhead. Death from above? Maybe. But if you're lucky, it's the opening of "Douglas Street," the opening track of Gitane DeMone Quartet's new album, Substrata Strip. "Douglas Street" plunges headlong into the darkness of a drive-by shooting that took place not far from where the band lives. It's a dark start to a journey that resonates with the sounds of life and death, of love and loss, of rage and rebirth. "Amaranthene" (the unexpected standout track on this album) sees the band at its most accessible yet, even flirting (however slightly) with the girl-group sound of the '60s, but with DeMone's inimitable lyric and vocal spin providing a kaleidoscope of emotions never dreamt of by that era's sirens. 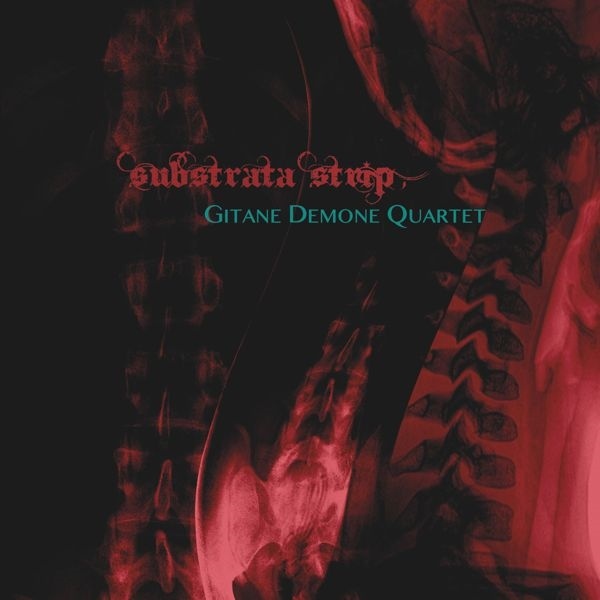 Those who have had the unique pleasure of seeing Gitane DeMone Quartet live , know that the sheer power, that this ensemble unleashes onstage, cannot possibly be harnessed onto disc. But through the visionary brilliance of keyboardist and producer Paul Roessler, Substrata Strip is as close as it gets. Let it into your guts ... because for better or worse, you deserve it.